Zhi Wu Yuan South Gate,Tianhui Town,Jinniu District,Chengdu,Sichuan Province. 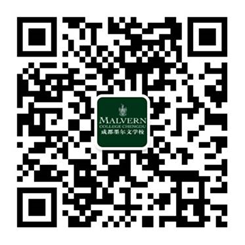 Malvern College Chengdu is established in partnership with Malvern College UK, to offer an international education tailored to the needs of students in China. Malvern College was founded in 1865 and has since developed into one of the leading independent schools in the UK, renowned as an innovator in education. It has produced renowned alumni including two prime ministers, three Nobel Prize winners, as well as famous writer C.S. Lewis, author of the Chronicles of Narnia.